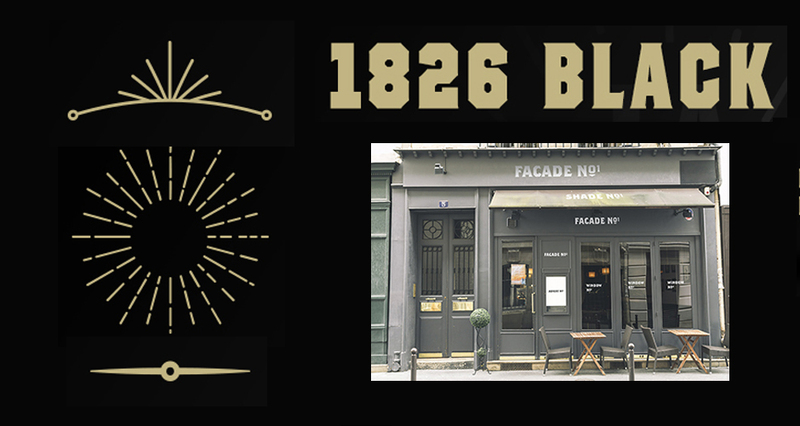 This freebie pack features the Evanston Alehouse 1826 Black font from the current bundle, courtesy of Kimmy Designs and a sample of a store facade mockup from the 30 Signs Facades Paris & Amsterdam by Made by Vadim. File types: this freebie pack contains .PSD, .EPS, .OTF, .TTF files . Is the font ok to use for commercial use on books? I’m always on the lookout for unusual ornamental designs, and new fonts. Along with the photo of the storefront facade, I feel like a hit the lottery. Thank you for sharing your work with us. Thank you so much for your comment and we hope that you really enjoy taking these freebies for a spin! Hiya all. Thankyou so much for the freebies. They really are fab. Now not wanting to come across as thick here lol but what are :- PSD, .EPS, .OTF, .TTF files? And how do I open and use them please? (I’ve not downloaded this one). well.. i dunno if you ever use a mockup before, but maybe it’s your first time..
PSD (Photoshop) EPS (it’s a format that photoshop or illustrator can open), OTF & TTF are the fonts. Thanks so much for taking the time to leave a comment to help Andrea, this is so sweet of you Dan! We are sure that our community members that are new to design will find this really helpful so thanks again for your support :). totally awesome! thank you very much! Woohoo you are so welcome Donna, we hope that you have great fun taking this one for a spin! Thank you so much for commenting Linda and we hope that you have great fun with this tutorial! Hey, all of the items in this freebie – “the Evanston Alehouse 1826 Black font from the current bundle, courtesy of Kimmy Designs and a sample of a store facade mockup from the 30 Signs Facades Paris & Amsterdam by Made by Vadim” – are under your standard Design Cuts License or not? And generally is everything in “Freebies” section under the same license or there are some exceptions? Thank you so much for taking the time to leave us a comment and I am so sorry for any confusion caused over our license! The great news is that all of our Bundles, marketplace items and Freebies all come with our single user extended license, though each of our resources come with slightly different terms, which you can see on our License Page. I’m looking forward to listening to the tutorial. I’m thinking about starting a jewelry shop on Etsy and I was thinking of using an old style storefront. This is really at just the right time. Thank you! Wow we are really excited for your new venture and we hope that you have great fun starting your own Etsy store 🙂 We hope that this tutorial gives you some great inspiration and happy designing! Thank you for the tutorial & accompanying great freebies! And an especial thank you for bringing Made by Vadim’s amazingly beautiful and well-designed products! ps. I did find Waldo (bottom door window, right, next to Advert No1) . . . 🙂 🙂 Again, VERY COOL work! Now, I’m Jones-ing for the whole bunch of Signs & Facades! Woohoo great spot Diana Hee-hee. We just need the stripy scarf! It’s great to hear that you are really keen to add more signs and facades to your collection and we hope that you really enjoy adding these to your collection! Yay thank you so much for your comment Martin! Thank you. I am looking forward to playing with these goodies.